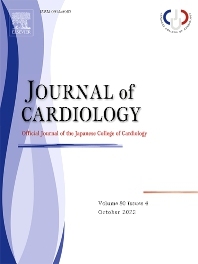 The official journal of the Japanese College of Cardiology is an international, English language, peer-reviewed journal publishing the latest findings in cardiovascular medicine. Journal of Cardiology (JC) aims to publish the highest-quality material covering original basic and clinical research on all aspects of cardiovascular disease. Topics covered include ischemic heart disease, cardiomyopathy, valvular heart disease, vascular disease, hypertension, arrhythmia, congenital heart disease, pharmacological and non-pharmacological treatment, new diagnostic techniques, and cardiovascular imaging. JC also publishes a selection of review articles, clinical trials, short communications, and important messages and letters to the editor. Journal of Cardiology (JC) features an Open Archive. All articles are made free access 12 months after publication.